Like Myth #1, this is one myth that persists. It stems from a lack of understanding that results in people focusing on the physical elements of the supply chain, as well as the way warehousing and distribution costs appear on an organisation’s books. While this is understandable outside the workplace (no-one wants to bore their friends at a BBQ by explaining the ins-and-outs of Economic Order Quantities or Seasonal Statistical Forecast Models) from an organisation’s perspective it is neglectful at best. As a result, warehousing and transportation projects may overlook potential opportunities and sources of improvement. That is, the bigger picture – including upstream causes – may be lost in the desire to get quick cost savings. To illustrate this, consider the perspective of a Financial Controller who notices that freight costs are rising and begins to renegotiate freight rates. If this has not been done for several years, this process may yield some results. However, given the commodity nature of freight rates, it’s likely most rates are already competitive and there’s not a lot to be gained. In addition, if these costs are rising as the result of something such as changing customer behaviour or an outdated inventory policy, this undertaking will never get to the root cause of the issue. Review your Supply Chain Network Design in light of current strategy. This may be as involved as running a detailed network modelling project (also known as Supply Chain Network Optimisation) or as simple as mapping out your current network and looking for potential bottlenecks, constraints or redundancy. Regardless, your network should be capable of supporting your Customer Offer in an optimal manner. Focus your Supply Chain Planning capability on the drivers of inefficiencies. Having reviewed and possibly revised your Supply Chain Network, focus effort on improving planning to reduce noise and imbalances in inventory as well as redistribution and expediting costs. The potential for improvements from better use of inventory can far outweigh the benefits of better freight rates. Analyse the Delivery / Order Fulfilment Task for potential improvements. As a final step, it may be worthwhile to improve your transport utilisation, such as by running a Route Optimisation analysis, and remove further redundancy at the execution stage. Having followed these three steps, should you then decide to undertake a freight rate review, you’ll be in a much better position to negotiate rates that meet your needs, based on a supply chain configured to your organisation’s requirements. The benefits of a well-run warehouse and distribution network are clear, however what is needed to drive and support it can be deceptive or less obvious. Taking a broader perspective of the potential causes and sources of supply chain network improvement will help drive long-term, sustainable benefits. And your Warehouse Managers will thank you. Is Technology the Best Source of Supply Chain Improvement? Another common myth that prevails is that the latest and greatest piece of software is the primary source of innovation or advancement available to drive optimised supply chains. In simplistic terms, supply chain capability can be conceptualised in terms of People, Process, Systems and Data. To rely solely on the Systems element of this model to improve performance is naïve at best. Technology will not optimise your business in isolation of these other elements – especially as software needs to be configured to reflect strategy and business rules and supported by appropriate processes. And as discussed earlier, having the right people can be a source of significant innovation. In addition, even the best system will not help your organisation make decisions regarding exceptions such as capacity constraints, out-of-stocks or delivery delays. These decisions should be driven from your supply chain policies, which in turn are guided by organisational strategy. Software should be configured to highlight rather than be expected to solve these issues. Decisions around software should, again, flow from your strategy and the level of service and response required by your customers. As was succinctly summarised in a recent blog: “The IT piece follows; it does not lead… you have to first figure out what is the reaction time you require to make your revenue and profit model.” (Supply Chain Brain). From our experience, where we have seen the best results from software being used as source of competitive advantage, is where organisations have identified Best-of-Breed tools – be it demand planning, network modelling or warehouse management systems – that support their desired supply chain model. When compared to generic ERP modules, these tools have the ability to drive greater performance - but again, only if appropriate to your organisation. For example, should you decide to focus on inventory, a successful ERP implementation may deliver a 5% reduction in inventory while maintaining service levels, whereas through integrated, constraint optimised planning, a Best-of-Breed Advanced Planning System (APS) could deliver a further 10% in inventory reductions while also increasing service levels by roughly 2.5%. However, this only paints part of the picture. To return to the earlier model of People, Process, Systems and Data, where APS implementations are complemented and reinforced with process and culture reform, these benefits are almost repeated. That is, we have observed that the benefits from software can be matched by the benefits of improving processes in tandem with the software implementation, with a particularly significant impact on excess or obsolete stock. By solely focusing on a software project involving the implementation of the tool, and neglecting the opportunity to review and revise related business processes, is to by-pass many potential benefits that the software brings. 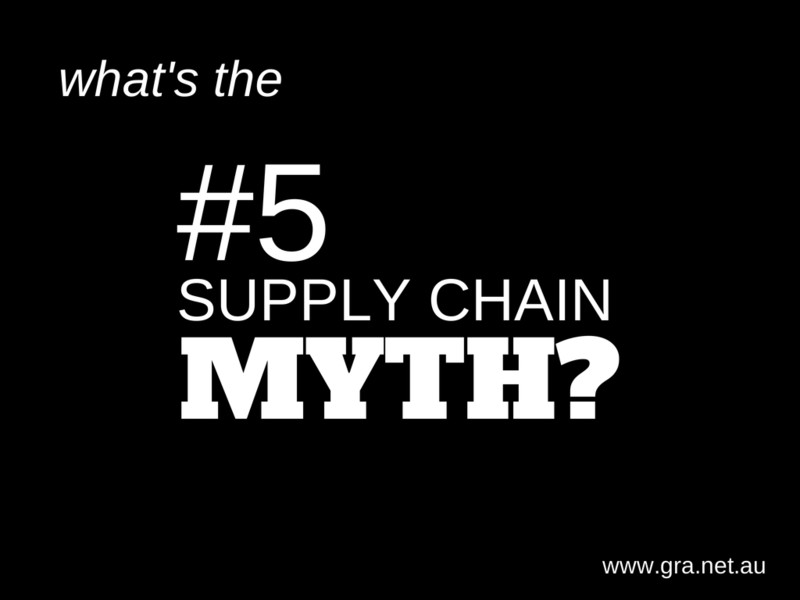 GRA's Adam Kidd exposes 5 Supply Chain Myths that prevent supply chain professionals from optimising their supply chains and ultimately improving business outcomes. In his article, Adam explores the idea that these myths endure as a result of ‘The Supply Chain’ often being thought of as an executional cost centre, rather than a strategic opportunity. Adam concludes that to achieve superior supply chain performance for your organisation you need to realise how to get there. And busting some myths, many of which are based on outdated business practices, is a pretty good place to start. 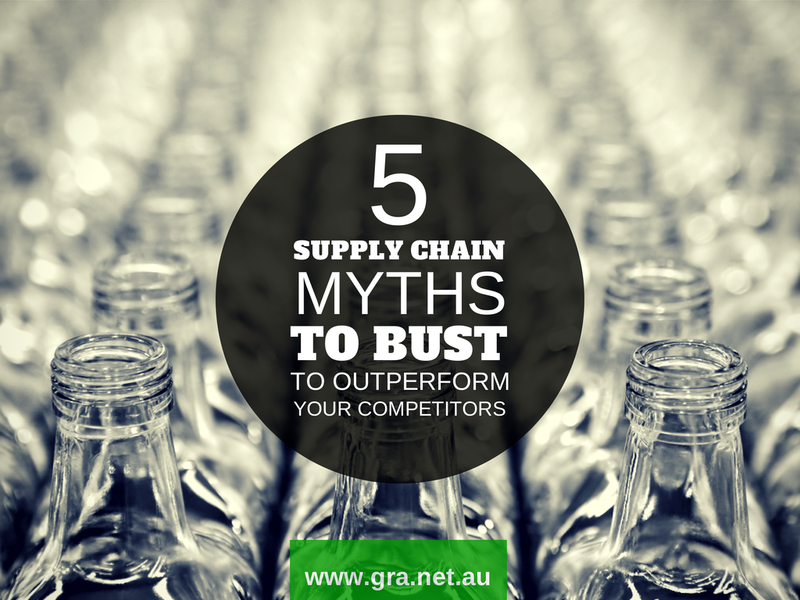 Read the entire 5 Supply Chain Myths article here.